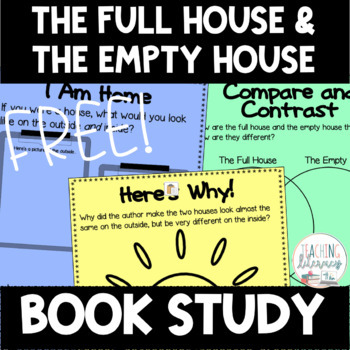 BOOK STUDY - The Full House and the Empty House - 35 Differentiated Printables! 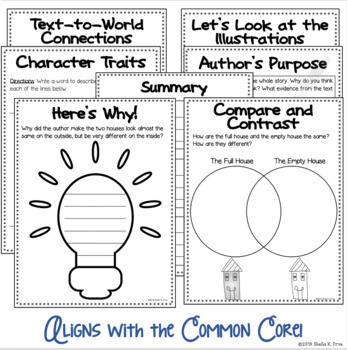 This no-prep Book Study has 35 engaging Common Core-aligned activities/printables designed to delve deeper into The Full House and the Empty House by LK James. The Full House and the Empty House is a quietly celebratory story about two friends who accept each other - and themselves - for who they are. 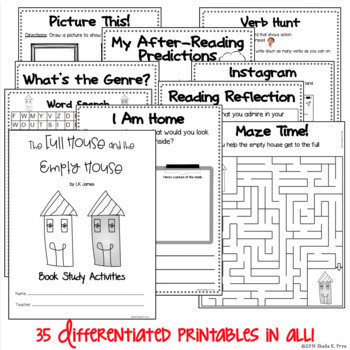 Many of the printables are differentiated by product, allowing you to address differing ability levels in your classroom. 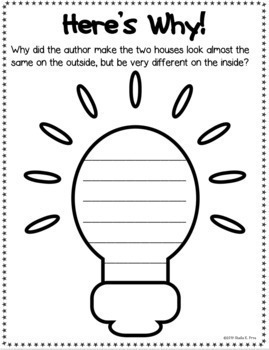 Since the printables cover a range of modalities, you could also differentiate by student interest (showing understanding through drawing, words, etc.). Click here for more BOOK STUDIES.